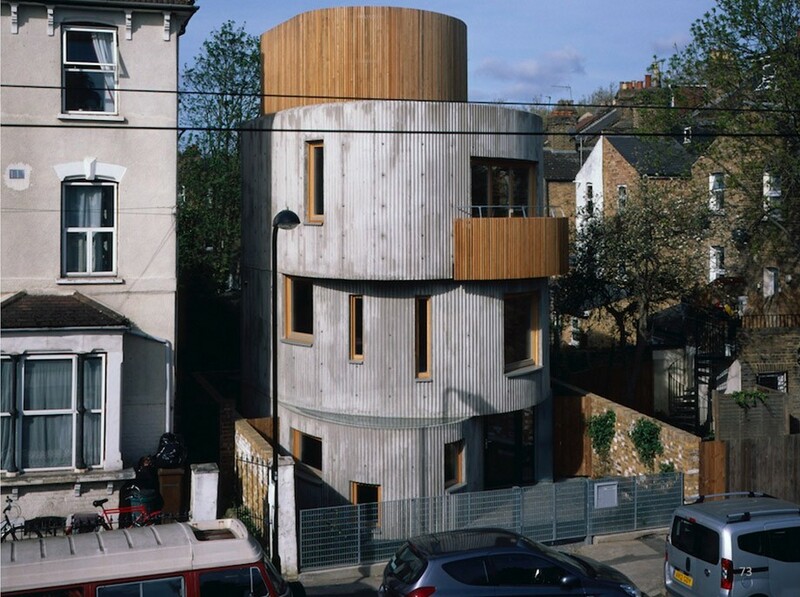 Back in 2012, Scanner was approached by architects Chance de Silva to collaborate with them on their project Vex, a curved, fluted, in situ concrete house in London. ‘Vexations’ is a two line composition by Erik Satie, allegedly found behind his piano after he died in 1925, with instructions that for its performance it was to be repeated 840 times. Unsurprisingly, since this takes about 18 hours, performances are rare, but Stephen Chance, of Chance de Silva architects, heard it played at the Barbican, and thought it could provide the theme for a speculative house on a small site in north London. Chance de Silva has made a reputation for inventive live-work buildings on sites too small and awkward to interest developers or housing associations. ‘Vex’ – three storeys, 115 square metres – is the most ambitious and most fully resolved of these to date. With themselves as clients, architects Steve Chance and Wendy de Silva were able to tolerate the long-drawn-out and unquestionably vexatious nature of the project – much aggravated by their own deliberate choices. On its other projects, Chance de Silva has a record of collaborating with visual artists, craftsmen and performers. For Vex, the architect chose to collaborate with a sound artist, Scanner (Robin Rimbaud). Vex is three eccentric corrugated concrete drums, misaligned vertically; the drums repeat, but they vary – they are like each other, but not alike. Together, they suggest remains of some colossal, never completed, antique monument, since hollowed out to make a habitation. The partially submerged ground-level drum is the workspace. The second drum contains two bedrooms and bathroom; and the top, ‘piano nobile’ drum is the kitchen and living room, with an enclosed roof terrace, screened with strips of larch, above. The staircase loops around the back of the drums, so that you never know what is coming next, and because the entry point to each level is in a different position, every level is unlike the previous one.